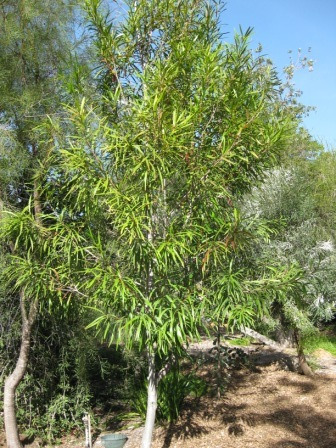 Medium to tall shrub with mid-green leaves with rusty new foliage, lignotuberous, and has orange-red flowers. Hardy to moderate frost, prefers some summer watering. Requires well-drained soils in full sun or partial shade position. Excellent cut foliage. Good informal screen, fast growing. 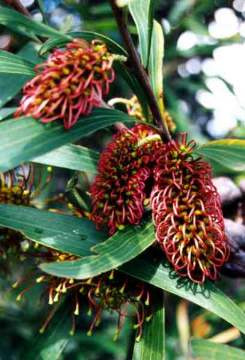 Previously known as Hakea trineura.